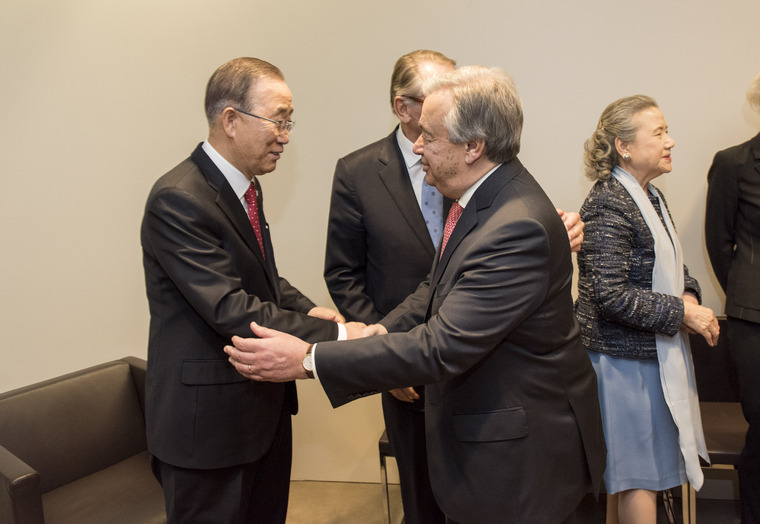 Mr. Guterres, a former Prime Minister of Portugal (1995 to 2002) and former UN High Commissioner for Refugees (2005-2015) replaces Ban Ki-moon, who steps down at the end of the month after leading the global Organization for the past 10 years. “The United Nations was born from war. Today we must be here for peace,” he added, noting that addressing root causes, cutting across all three pillars of the UN: peace and security, sustainable development and human rights, must be a priority for the Organization. Today’s ceremony opened with the Assembly paying tribute to Secretary-General Ban Ki-moon for his contribution to the work of the UN since 1 January 2006.